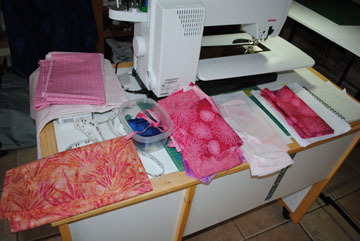 From a pile of pink fabrics, a quilt is growing. It will be a baby gift. 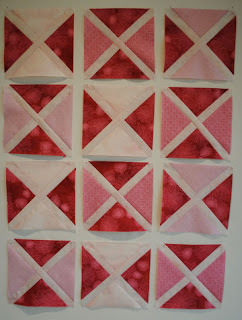 I found a pattern online - a freebie that appealed to me. 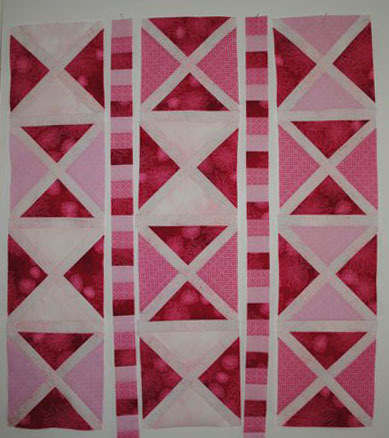 It is called Vintage Turnovers by Cute Quilt Patterns. One of the fabrics I selected particularly appealed to me so I am, of course, altering the design of the quilt to accent it. 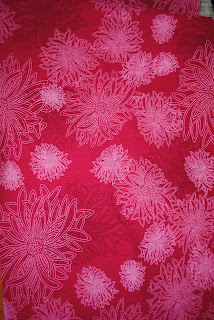 The pattern was fairly easy to follow. One of the things that appealed to me was that the space between the blocks was filled with multicolored rows of complementary fabrics. I thought it was a touch that inhanced the pattern. 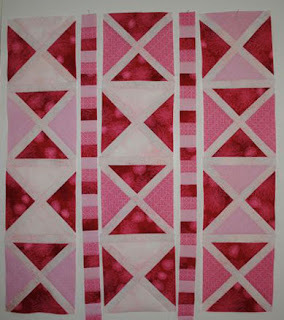 My hope is to be able to finish the piecing and be on to quilting within a week.